I miss my family. Just 24 hours ago I was busy helping my wife and my two kids prepare for a rare family vacation. It was only going to be three days long, but to a dairy farmer it was a big deal. 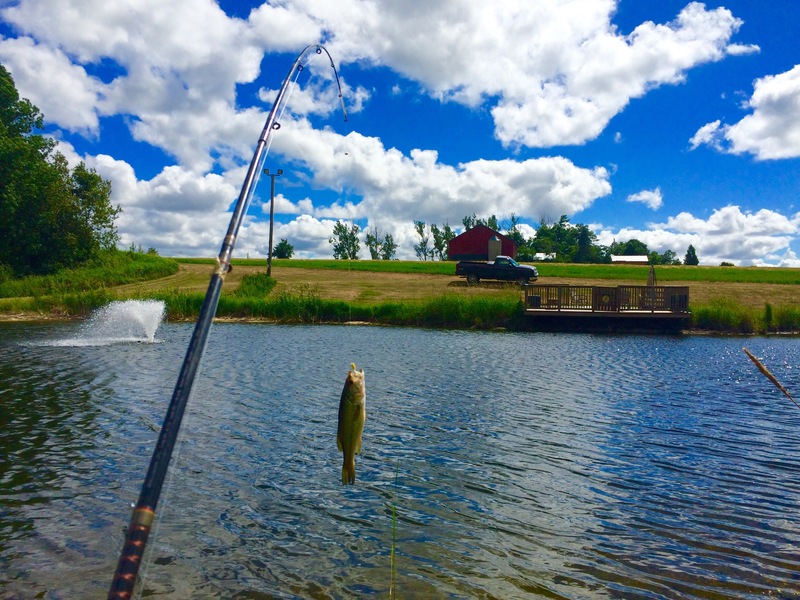 My kids and I were joking with each other about who was going to catch the biggest fish and we even made a special trip to town to pick out some fishing lures that we though would land ‘the big one’. My wife is a veterinarian and I still remember the conversation that we had weeks ago when we were trying to decide on a date to get away. With her job she must book holiday time weeks in advance. A dairy farmer on the other hand never knows what he or she will be doing days, let alone weeks from now. Will there be cows calving, will crops be ready to harvest, will I be able to find help to cover my work load? Things don’t always go according to plan, especially when you are a farmer. I spend the last few days preparing to go. Thankfully, a cow that was due during our trip calved early so that was one less concern. I even had a window of opportunity to take off some hay the day before our holiday so that my thoughts would be on spending time with my family and not on the crops quickly maturing in my fields. I made sure that my bookwork was up to date and my equipment was in good working condition to help lessen the chance of things going wrong while I was away. Extra feed was prepared, pens were cleaned and the cattle were well bedded to take some of the work load off my relief help. There were no storms in the forecast so I didn’t need to worry about the implications of a power failure. A sick cow was on the mend so that brought me some peace of mind knowing that she shouldn’t be an issue. I left pages of notes with instructions of what to do and who to call if things went wrong. We managed to find someone to house sit and look after our four cats, two dogs and a coop full of chickens. I updated the list of cow names and numbers and left strict instructions on how my calves should be fed . I know each and every cow like the freckles on the back of my hand, but to my relief help the cows are strangers. On my farm, each cow has her own milking stall. They are pretty good at coming into their stalls at milking time from the pasture field, but it helps to know their personalities and little nuances. All I could do is hope that they behaved and that my help wouldn’t get frustrated finding their correct stalls. No matter how well you prepare it is still stressful to leave. Some people can hardly handle leaving a pet home with a sitter or in a kennel. 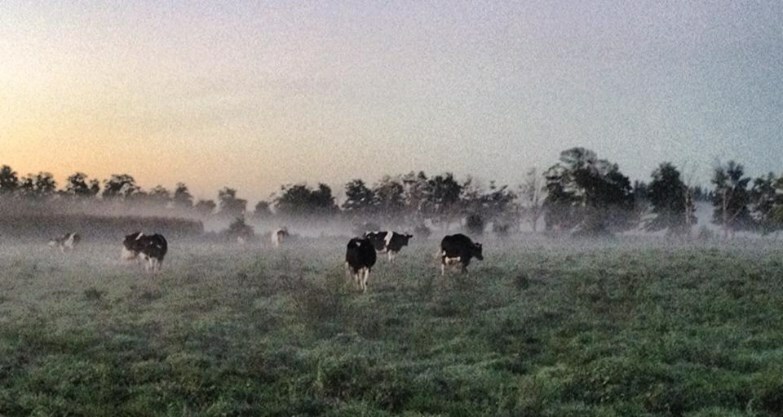 Unless you are a dairy farmer you have no idea what its like leaving an entire herd of cows. You are leaving the animals that you care for and your livelihood in the hands of someone else. The day before we were about to leave I got a text from my relief milker. He wasn’t able to come, but he had a good excuse. My heart sank. How would I tell my kids and my wife? They were so looking forward to taking me off the farm because it is such a rare event to get away as a family. Finally I got up the courage to tell them and my efforts earned me a sad face from my daughter and a cold shoulder from my son. The bleak reality that daddy had to stay home to look after the farm had sunken in. There was no other choice and I hid my tears until I saw my wife drive the kids down the lane with our canoe in tow. Farmer Tim taking a moment to fish in his farm pond while missing his family. Dairy farming is lifestyle. Everything you do involves working around the weather and making sure that your cows are milked twice a day, every day, 365 days of the year. When you become a dairy farmer you take a silent oath to care for your animals and love your family at all cost. The problem comes in balancing family and farm. Larger farms may be able to justify having a full time employee who can manage things when the farmer needs to be somewhere. For a small family dairy farm like mine it is almost impossible to be able to pay for full time help. Part time help is great, but it is increasingly difficult to find. If you are lucky enough to find help they are often lacking in the work ethic and skill to stick with the job. My kids are old enough to take care of things if I need to miss a milking, but its not a family vacation if one of the family members needs to stay at home. I am not looking for sympathy. 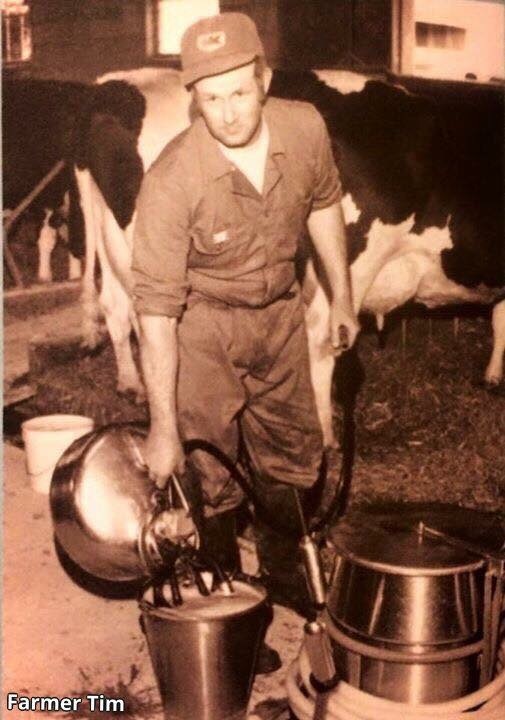 When I became a dairy farmer I knew what I was getting into and so did my wife when she married me. Its a choice that I have made and everyone makes sacrifices for things that they are passionate about. Thankfully my wife is incredibly understanding and my kids are forgiving. They understand when I need to miss a soccer game because it falls at milking time. They know that a cow calving or a sick calf is a good excuse to miss a school event and that an upcoming rain storm means a late night of bringing in hay. They also know that the farm has given them a life unequalled to any other. It has brought us close as a family because we work along side each other each day and it has taught us valuable lessons on nurturing life that no vacation could ever teach us. I will try again in the fall or winter to get away with my family because even farmers need a holiday and I will actively seek some part-time help for when my kids are back at school. I need to remember that the definition of a family farm is a farm run by a family. Hopefully a well deserved vacation will someday take my family from the farm, but I know that it will never take the farm from my family. 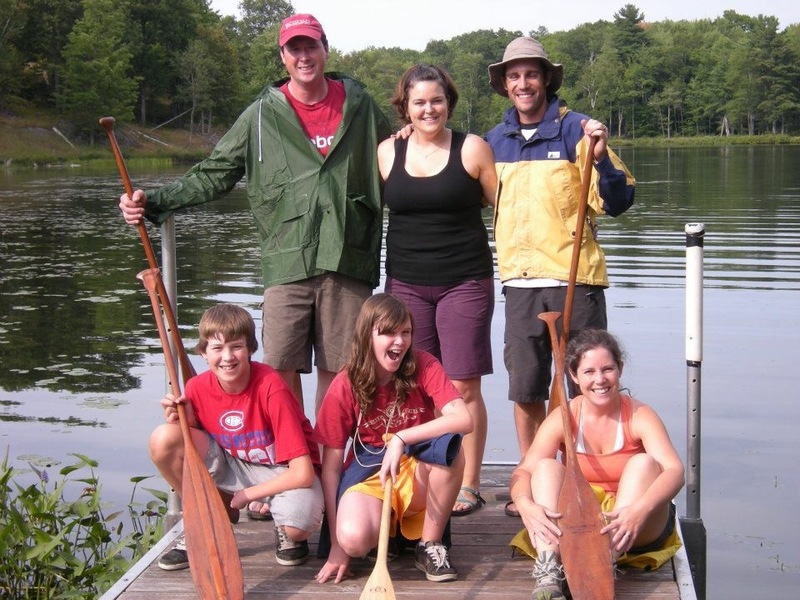 Me, my sister-in-law, my brother-in-law, my two kids and my wife on a rare canoe trip a few years ago.